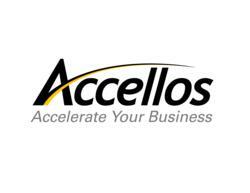 Accellos, a Silver Sponsor of Convergence 2012, will be demonstrating AccellosOne Cloud WMS in booth 904. Accellos, Inc., a leading provider of supply chain execution software solutions, has launched its AccellosOne Warehouse Management System (WMS) in a cloud deployment option. The new product offering will be available for review at Convergence 2012. The AccellosOne Cloud WMS contains all the features to ensure efficient performance of distribution centers including inbound order processing, inventory control, optimized tasking, wave planning, and outbound order fulfillment. Additional modules from the AccellosOne platform can be added to the AccellosOne Cloud WMS including dock door scheduling, supply chain business intelligence, document management and 3PL billing. For more information on Accellos’ warehouse management solutions, visit http://www.accellos.com/warehouse.